This is a tale of hoopties and lemon bars. Oh, and irony. We can't forget the irony. Whatever the reason, the tiny bump left a giant white scrape on the bumper of our black car. Not just a scrape. A paint peeling, eye sore of a scrape. As soon as I saw it, I immediately thought of the hubster. A man who loves his cars so much, he refused to let me eat Flamin' Hot Cheetos in his last one. He also made us park aaaaaaallllll the way at the end of the parking lot because he didn't want less fastidious drivers to harm his baby. Oh, and my personal favorite? He once drove around the Walmart parking for twenty minutes, evaluating cars with empty spots next to 'em. His theory? If the car was dinged, it was clear the owner didn't care about their own car and consequently, wouldn't care about his. I failed to point out that we were at Walmart not Saks. Dinged cars came with the territory of $5 Bumpits and $8 stone washed denim jackets. Oh, and $2 Cheetos (the obvious reason for our visit). But we'd been married for a couple of years. The hubster had had some time to get used to my clumsiness. I was hopeful this wouldn't be terrible. So, I mentioned the scrape offhandedly at dinner that night. The hubster jumped up from the table, dashed outside, and for a moment, an expression I can only describe as pure grief passed over his face. Then, he just shook his head knowingly and laughed. Marriage 1, car psychosis 0. And so, that scrape remained on the car for the next couple of years. We came to terms with it much like I've come to terms with the crazy, rampant baby hair on my head (No I haven't, I still hate it and wish I could glue the 8 million tiny strands down). And then, news came we were moving back to San Francisco. A city where 80% of the people we knew had flashy luxury cars, with cushy leather seats that they massaged with hundreds of dollars worth of product to keep them, well, cushy. For the record, I don't even spend hundreds of dollars on massages for myself! Needless to say, this wasn't about keeping up with the Joneses. This was about making sure the Joneses didn't mock us mercilessly. So, the car went to the auto body doctor and the scrape got fixed. And two days later, I came down to the parking garage and the scrape had magically reappeared. In the exact same spot. In all its paint peeling, eye sore glory. See, apparently scrapes are a rather common hazard of living in a city where everyone has poor depth perception and is rocking out to Lady Gaga while attempting to park. The hubster blames the tiny parking spaces but I know it's the Lady Gaga. I had half a mind to walk around inspecting every car in the parking garage for remnants of black paint from our car but the hubster convinced me that would be futile. The culprit was long gone. Likely, to Walmart. There was nothing left to do but accept that the scrape was destined to be a constant fixture on our car. Nothing left to do but make dessert. I call these "My Car Will Forever Be a Hooptie Lemon Bars" but you can feel free to simply call 'em delicious. Tart, creamy, and über-addictive, they are the perfect cure for what ails you. Even if what ails you is a lethal combination of poor depth perception and Lady Gaga. 1. Preheat oven to 350 degrees. Spray a 9x9-sized glass pan with cooking spray. 3. 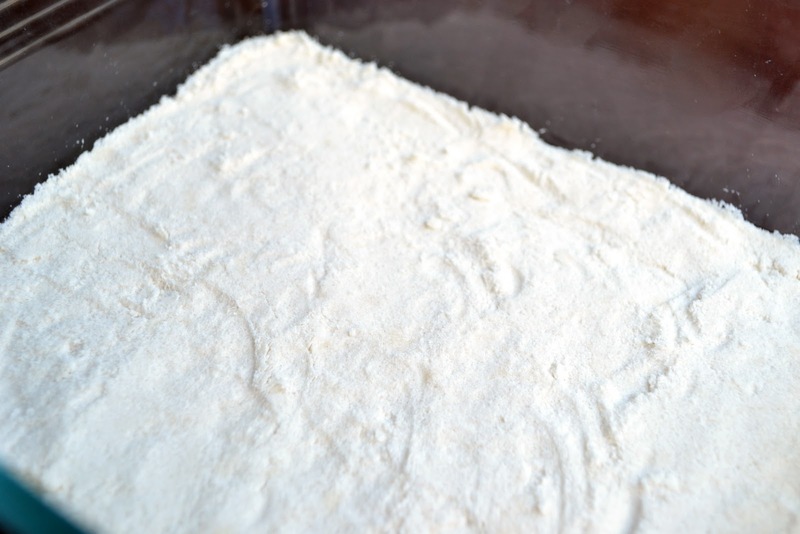 Bake crust for 15 minutes. 4. 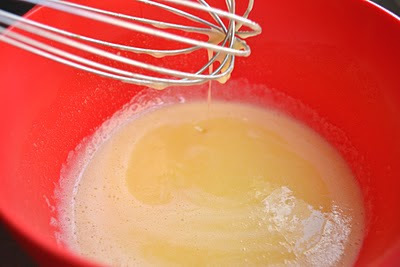 For Filling: Whisk together eggs, sugar, flour, and lemon juice until frothy. Pour mixture onto hot crust; spread evenly. 5. Bake 20 minutes or until light golden brown. Cool on wire rack. Recipe from our friend C.C. I once hit a parked car. And my mom and I got mad at the owners crappy parking job even though I was in the wrong. Thanks for the hilarious post - it made my morning! :) And the lemon bars look fantastic. Bookmarking! I think I used an apostrophe in the wrong place. Forgive me. I haven't mastered grammar yet. I just love lemon bars. Their tangy flavor always makes my tastebuds come alive. Yours look so sunny and bright. I have a linky party on my blog every week called "Sweets for a Saturday" and I'd like to invite you to stop by tomorrow and link this up. Ouch! My car was six weeks old when someone severly "ding"ed it at Target so totally understand. I'm like your husband though. I damn near cried. But I would've felt better with those lemon bars. Thank you! I needed a smile this morning. I pray on a regular basis that Lady Gaga will be long gone and singers will be required to wear real clothes by the time Dudette is of the age where she can listen to that stuff. Being one for Pink Floyd, Stevie Ray Vaughan and Dire Straits, I don't see the attraction. At all. I LOVE LEMON BARS!!! Oh Azmina you've inspired me to make these this weekend -- don't worry about your car being a hooptie. I actually have the ultimate hooptie: a 97 Honda CRV. It was actually my mom's old car that was rear ended once and oh yes there was this other time when her store front sign fell on top of the hood... so you can only imagine how many dings it has :)! Perfect bars to pair with my perfect hooptie haha have a good weekend!! I think I will just call them delicious, its much easier to say!! It was a good story though and I enjoyed it thoroughly! You and I were meant to be friends. I love Cheetos--maybe not the Flaming Hots but the Baked ones, yum--and I love lemon bars even more. I'm forever on a quest to find the perfect ones and these look to have the perfect balance of crust to filling. And I think you and I married two peas in a pod when it comes to cars! omg i have been meaning to make these too, and you got ahead of me. what should i say, these lemon bars look deeelicious, love the lemony colors and the moistness peaking out. 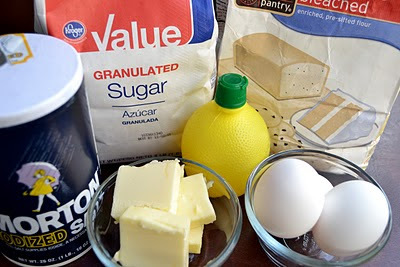 I had to come out of lurking to say that I LOVE lemon bars. I have to make these tonight! I also love your blog, although not quite as much as lemon bars. I admit I had to click on the link to see what a hooptie was. I will also admit to doing a couple of the things your husband does when it comes to parking. I am so careful about other cars but obviously they don't always feel the same love. You lemon bars look like just the thing to take away the disappointment of a ding in a car. Love it! I've scraped a few cars too, like recently when one of Dad's tyres came right off because I backed over a big bit of wood... he wasn't too happy about that. I wish I had some lemon bars to feed him then! haha! Your lemon bars look yummy! Love your story and photo too. Ah, so that's what a hooptie is. Glad to know I'm not the only one with 8 million strands of baby hair needlessly sticking out of my head. I used to call it fuzzy hair, but who am I kidding? Oh, and when your 2 year old son starts singing, "baby gaga baby gaga, cherry cherry bum bum" you know you're listening to too much Lady Gaga. 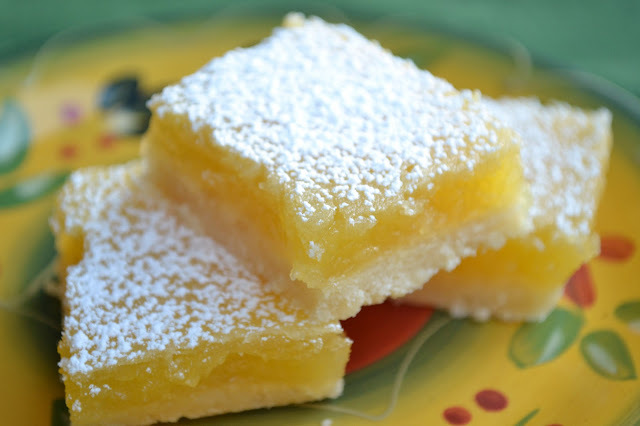 These lemon bars look fantastic and sound so simple to make. Lovely recipe! i totally agree on the importance of parking in a safe place. Someone hit my parked car and it feels awful. i still did not get that dent fixed. Those lemon bars look DELICIOUS. I don't think i can stop after having one if they taste atleast half as good as they look. Your stories always crack me up! My husband would have had the same panicked reaction, although now days he seems more attached to his iphone than the car, now denting the iphone, that would be a tragedy! I can totally relate to your hubster...I can list every little ding on my car...and the biggest ding of all was from when my hubby backed into the wall next to our garage. Oh, well. hahahah your post is really hilarious , My hubby is exactly the same way , we drive forever and ever lokking for a parking space , nowadays I just ask him to drop me off and then he can get along with his search for the perfect parking , the only thing is I would have finished my shopping by then . Your lemon bars look amazing , I have to try them out . Your lemon bars look so yummy! I love lemon bars! Your post title certainly caught my eye! I remember I once backed my father-in-law's car into a tree, and instead of moving it forward again, I had to climb out of the car and gawk at the folded-in bumper for a few moments. He's never really let me borrow his car again much after that, now that I think about it. Also, do people really massage their car seats?? I fondly remember my hooptie car.. it made me appreciate my cush on wheels more... when I say hooptie... I'm talking mid 80's, boom box in the back, and college stickers everywhere. Some things are just meant to be...like your car and scrapes...and dessert bars and lemon! :) They sound delic! Hey I once run into our garage door on a moped...no big deal! ;) Lovely lemon bars! This was so entertaining to read...I only wish I could have been enjoying one of these delightful lemon bars along with your story! My cars is very dinged up...and I imagine it will stay that way too. Thank you for sharing your sweetness with me. I hope you have a joyful week full of continued good eating! What is it with men and cars? If my hubb's car was a girl, it would most definitely be a mistress. The lemon bars look delish! Oh, that Lady Gaga...The lemon bars look great! We park clear at the back of the parking lot to avoid door dings. My car had one - from me losing control of a shopping cart in a windstorm... It was on the bumper. Last October a gal rear-ended me at 35mph. Guess what one of my first thoughts was? Yup - new bumper no more ding :-) So, OMG, I laughed til I had tears in my eyes when I read this!! Ahh lemon bars! THe bane of my existence! I love your stories! I've had the urge to bake and this recipe seems easy enough! These look great. And I love the story. I too have zero depth perception, perhaps it is a lawyer thing. Which is what I say caused the scrape on our car :) My hubby though didn't get lemon bars, I think I may have made him a tamarind date cake. Start the process right by knowing the people who'll read your articles. of how to make more money on the side without breaking a sweat.